So another month has flown by and I'm saying the same bloody thing I say every favourites post - how is the month already over?! Also, how on earth is it September tomorrow? Seriously, I remember New Year's like it was last week! 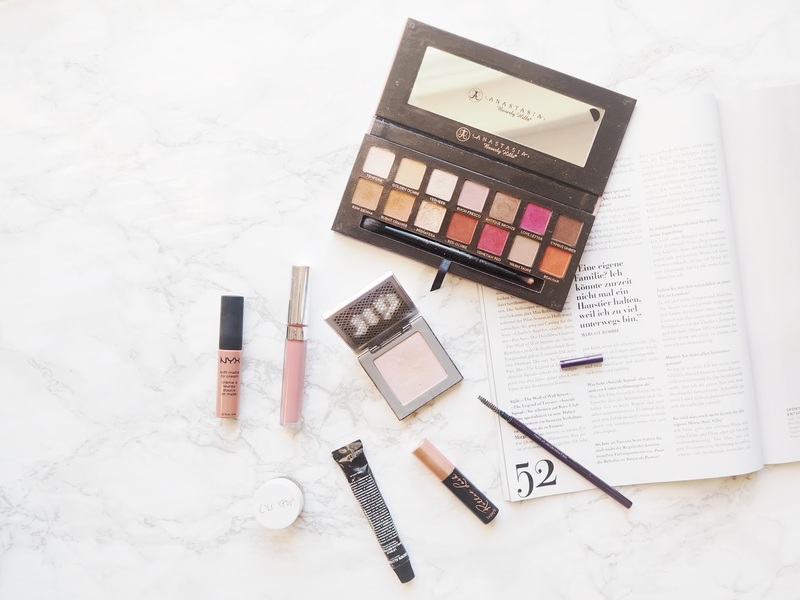 Anyway, super clichéd beauty blogger rant aside, I've got a few favourites to share! 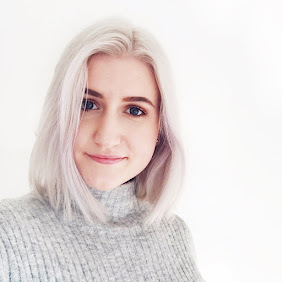 As per usual, I'm now realising that I forgot about five things, but you've probably seen them all over the blog this month anyway, so it's alright. Without further ado, here's the best in beauty from the month of August! Urban Decay Afterglow Highlighter in Aura - I've had this for a few months now, but I've been using this almost every time I've work makeup this month. This has some serious pinkness to it, which I didn't think I'd like, but it looks so gorgeous on the skin. It adds a little something different to a makeup look and lasts so well throughout the day. Big fan of this and highly recommend! NYX Soft Matte Lip Cream in Zurich - Obvy, I had to buy this, being a citizen of Zurich and all that. I've actually been loving this way more than I thought I would. It looks lovely alone but sometimes I like to pair it with a metallic liquid lipstick on the top, which really adds dimension. It's really affordable and the formula isn't half bad either! Grown Alchemist Watermelon and Vanilla Lip Balm - This balm has been pretty much the only lip treatment I've used whilst at my desk at home. It's sat next to my laptop and whenever I feel like my lips need a hydration boost, I reach for this. It smells lovely and is super moisturising. My only gripe is the packaging; as soon as you open this, product often already comes gushing out, meaning a load of it gets wasted. Aside from that, it's a fab balm! Urban Decay Brow Beater in Taupe - If you're a regular reader you'll know that my go-to brow product is usually the Soap & Glory Archery Brow Pencil. Alas, I can't get it in Switzerland, so once it runs out, this is what I reach for. Initially I thought I didn't like this as much, but this month I've actually kind of preferred the UD offering. I mean, it is like double as expensive, which I'm not thrilled about seeing as I go through them so quickly, but this is such a great product! The shade is spot ok for me, there's great colour payoff and it lasts well throughout the day. Colourpop Ultra Satin Lip in Alyssa - Of all the shades I picked up from Colourpop recently, this is the one I used the most. I paired it with simple makeup looks, with smokier eyes, with berry tones - it all worked. This is the kind of foolproof shade you can sub in without having to think much about it. I absolutely love it. The formula is matte and not drying, plus it's so affordable. The writing of this has actually all rubbed off because it's been in my bag so much since I got it! Benefit Roller Lash Mascara - I've had this little sample size for a while now, but didn't really use it much. Since I ran out of my trusty They're Real! mascara, I decided to give this a proper go. I'm pleasantly surprised; this gives my lashes length and a bit of volume. It also lasts well during the day without smudging, which is something I'm always grateful for! Anastasia Beverly Hills Modern Renaissance Palette - This is hands down one of my most used makeup products in the last one or two months. Basically since I got this it's been almost the only eyeshadow I've used on my lids. The palette has such lovely, buttery and blendable shades in such a wide variety of colours. I think I'll continue to use this lots throughout the colder months because of the rich berry tones in it. It's a little pricey, but I think it's well worth the price. Such a gorgeous palette and the packaging is a thing of beauty too! Colourpop Crème Gel Colour in Mr. Bing - Here's something I did not think I'd be putting in a favourites post! I'm not someone who really ever got into liner, let alone mastered the art of winged liner, so this is definitely a great product for me to like it as much as I do! The shade of this is a warm chocolate brown, which really makes your eye colour stand out. The formula is super creamy and pigmented, which means that even the cack-handed liner amateurs like me can have a go at winged liner. This lasts seriously well without smudging or crumbling off, which I'm very happy about. If you're in need of a new gel liner and you fancy straying from black, this might be one for you! So there we have it, another month of favourites. I'm really looking forward to autumn if I'm honest. I love summer and the sunshine, but I'm an autumn girl at heart. I'm already cracking out the berry tones and the burgundy! Are you looking forward to autumn? What were some of your favourites this month? I have been obsessed with Alyssa this month too! It's such a gorgeous shade, I am actually including it in my ColourPop Giveaway! I think the UD Aura Highlighter is so underated, I am totally obsessed with it! I really want the ABH palette! Color Pop Lip Satin in Alyssa looks beautiful, very easy to wear. I'm autumn girl at heart, too, can't wait until it settles in.